The Mens Silver Ridge II Convertible Pants from Columbia are part of the Silver Ridge collection and have a long love story with travellers and lovers of the outdoors. 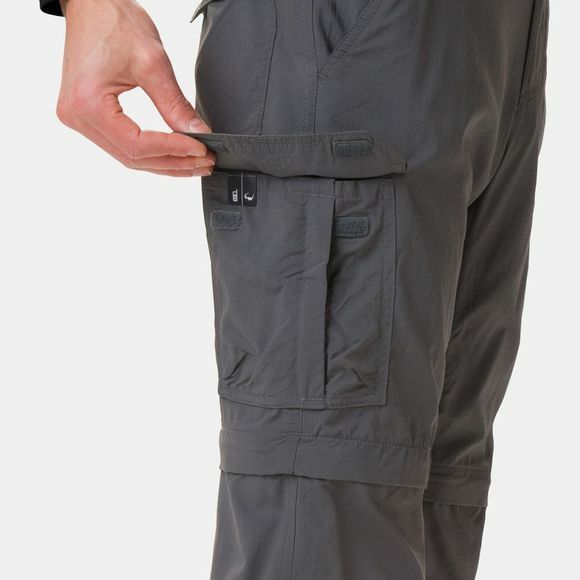 With this modernised version, Columbia has reworked the details but kept the essentials of men’s cargo outdoor trousers. With partial elastic at the waist, an exterior adjustable waistband and gusset detail, these trousers move with you to make your adventure more fun than ever. The straight leg style keeps you looking good on the trail while sweat dispersing technology will make you feel fresh all day long.